Plug Quectel EC25 Mini PCIe module to the Sixfab 3G-4G/LTE Base Shield v2. Connect required antennas to EC25 module. (Antenna Connecting Guide will be Available soon!). Attach the Shield on top of your Raspberry Pi and connect the micro-USB cable that comes with the Shield. Note: Make sure you are using original Raspberry Adapter as your power source. Install Raspberry Pi kernel headers. Here, find out your version and click on <> button to browse the repository at that point in the history. From the link copy the hash as shown in the image below. 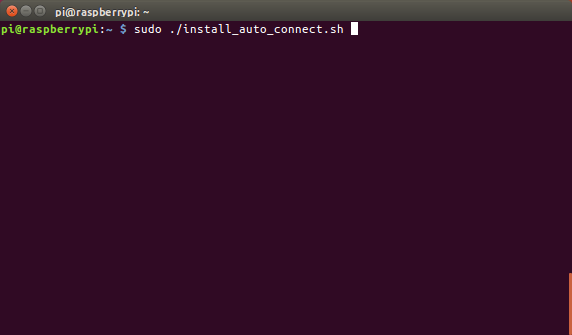 Now go back your terminal and update rpi in following format. Replace the term <hash> with your hash as shown in the image. Reboot your Raspberry Pi in order to activate the new firmware. 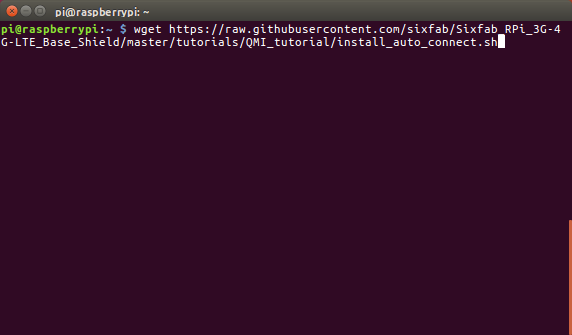 After rebooting, download qmi_installer.sh script. Change the permission of the script. 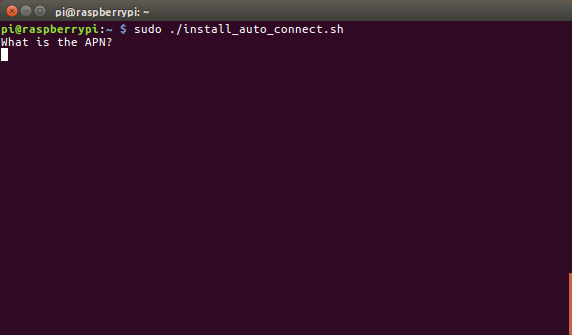 At the end of installation enter any key to reboot your Raspberry Pi. Here internet is the APN for the network provider. Don’t forget to replace it with your APN. 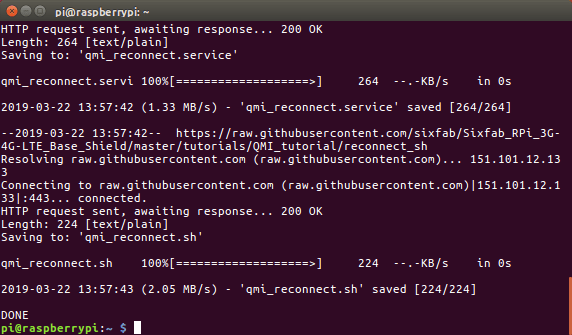 If you want your Raspberry Pi to automatically connected to Internet via QMI interface then there is one more step you will need to follow. Once you press enter it will create and activate the service. If it is working fine then you will be able to see active(running) in green. Hi Saeed. Any idea as to why when using the qmi interface everything appears to be fine (device has an IP, route, etc…) but in fact ping fails, dns lookup will fail,…networking will fail. If I install the ppp installer everything will work perfectly. Hi Andy, Could you please send me the image of your setup? I do have the same problem… Any answer so far ??? Did you run sudo apt-get update before installation? what different between PPP and QMI ? QMI does not use dialling or the PPP protocol to establish a data connection and it is usually faster than PPP mode. Will something like this work for the Sixfab Cellular IoT App Shield as well? Yes, Sixfab Cellular IoT App Shield also supports QMI interface. I assume it means the cell network is not connected or the SIM is not in the slot. The SIM tested good in another modem. I am using a Telit LE910Cx. Please try quectel-CM instead of qmicl. OK, I did get it to work with the Telit. I updated to qmi-network 1.22.0 and attached the antenna. I had to add a default route out of wwan0 to make it work right because I was configuring it via Wifi to make it work. It might be that. What is going on there? I have included the command to start it. Too few arguments is a message shown by busybox. I had to rebuild my Pi for a project and I have noted now that i have put it back again I am not getting a lease from Vodafone (My carrier) on a known working SIM. Do I need to put anything specific into /etc/network/interfaces to cater for DHCP requests or is there anything the busybox instance would need to get a lease? I have tried two working SIM cards and the unit times out on getting a lease now. 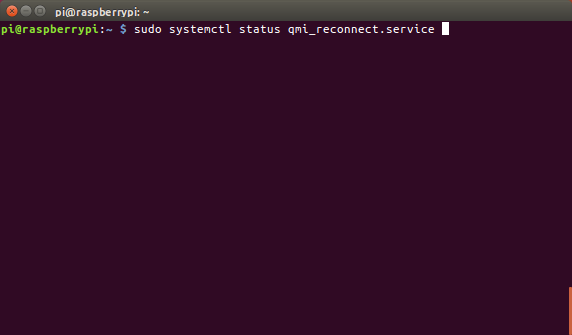 Could you please share the output once you type sudo ./quectel-CM -s internet? I would like this to run at startup automatically after each reboot, as I assume this is the only way to have the device online after reboot without manually executing sudo ./quectel-CM -s ‘APN’ is that correct? Any recommendations for setting this to run at startup? 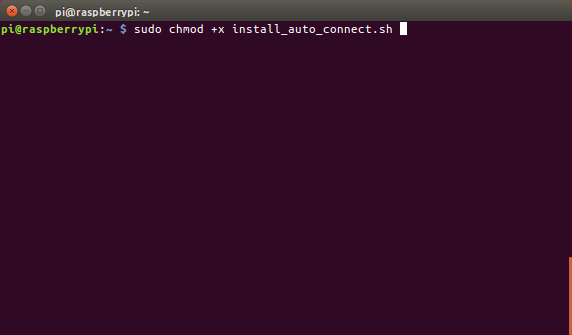 I’m novice but was able to write a shell script that runs sudo ./quectel-CM -s ‘APN’ (and it works) but am having trouble getting this to run automatically at startup via rc.local. For current version of Debian, it sounds like a systemd configuration would be preferable. Is systemd the best option, and if so does Sixfab have a systemd init file example that works? You can use systemd for this. Please refer to https://www.raspberrypi.org/documentation/linux/usage/systemd.md for details. We will be adding reconnect for QMI soon. QMI auto connect has been added. The reconnect service works great, thank you!